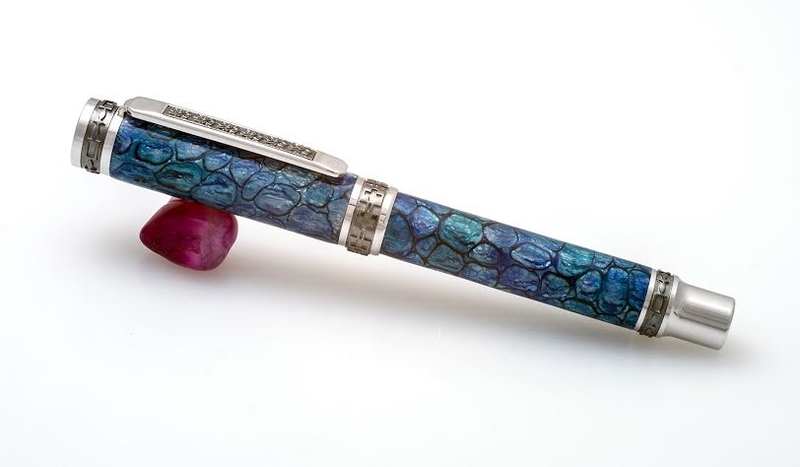 This is the 20 th in a series of Pens called “Dragon Scales” this is The Destiny Dragon. 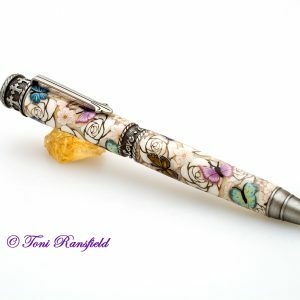 Design is created using a unique polymer clay technique which uses a wide variety of materials silver leaf, pearl ex powders, inks, etc. 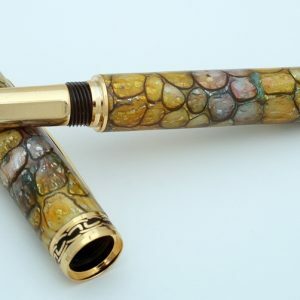 Pictures do NOT do this unique pen justice, it has incredible depth and shine!! 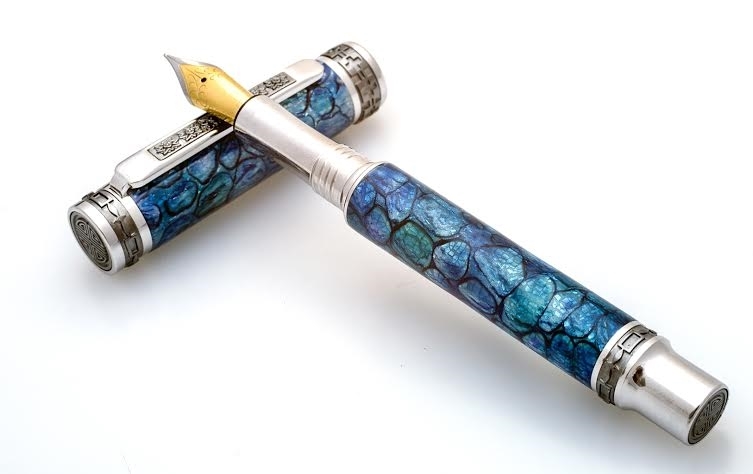 The color is amazing with various shades of Blue there are not enough words to describe the colors in this pen. 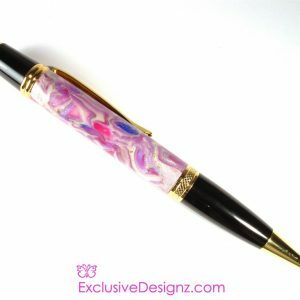 The perfect pen to add to your collection. 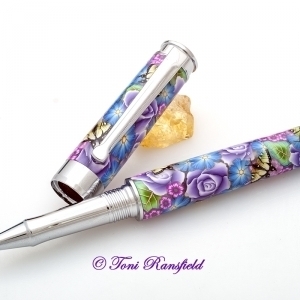 Celebrate Asian style and flair with the Jr. Emperor Pen, the finest pen makers kit available. 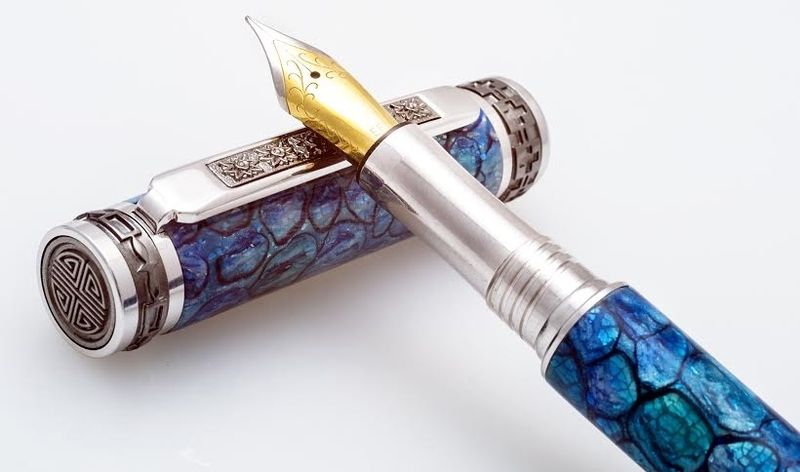 Designed to please the most discriminating pen collector, the Emperor pen features four unique hand carved patterns found on the ends, clip and accent rings. Hand cast, polished then plated with precious 22k Gold stunning decorative inlays are encompassed throughout by Rhodium plated fittings. The Emperor Pen exudes quality and elegance unmatched by any other pen. 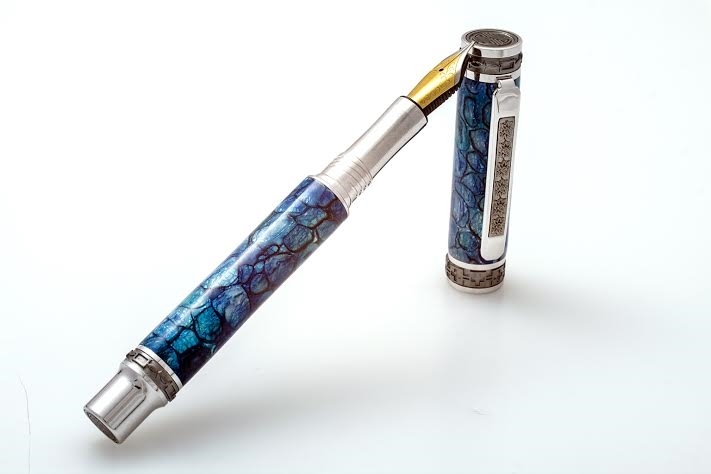 Attention is paid to the very smallest detail during the production of this magnificent pen with each component hand checked for proper fit and finish before assembly. Assembled components are then hand polished and checked once again to ensure a flawless fit.